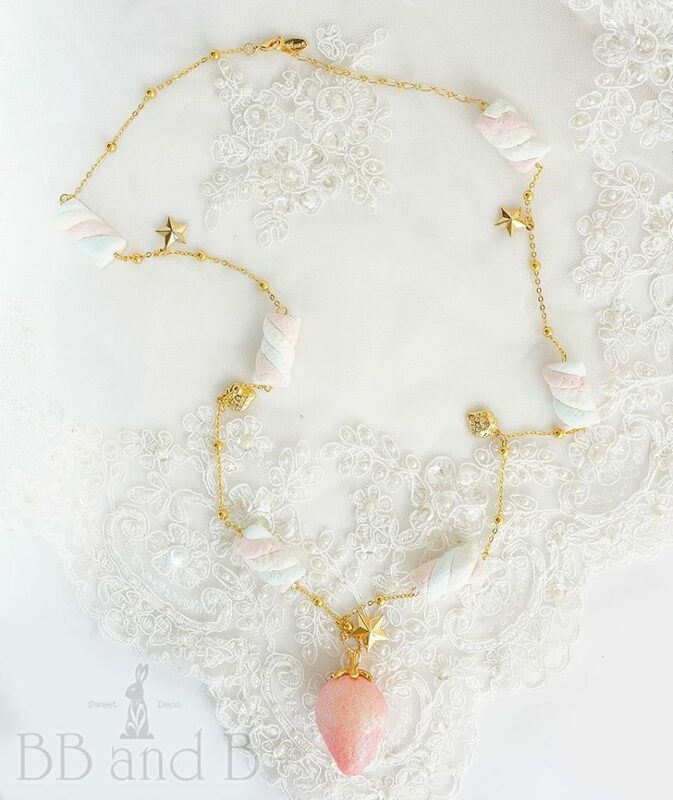 Just in time for Spring and Summer, this large juicy strawberry necklace features a gold plated chain, gold stars and strawberry charms, and cotton candy colored marshmallows! The strawberry is of a soft pastel pink (baby pink maybe?) with a touch of glitter that will catch the summer rays while the gold plated chain features both gold stars and strawberry charms. The cotton candy marshmallows bring back memories of cotton candy and marshmallows for the BB and B designer. This jewelry piece has been brought back and updated for the 2019 season.